Highlighted in this month’s energy briefing are three new bill supplements (the "Bills") related to natural wealth and resources. The Bills were passed under a Certificate of Urgency allowing for a shorter time frame in which to be debated and concluded. They were passed on 3 and 4 July 2017. The Bills are significant and are the subject of extensive debate in the investor community, both in Tanzania and internationally. The focus of this briefing is to provide a summary of the changes and analysis of their practical impact. In particular, please see our analysis of the legislation in the context of existing Bilateral Investment Treaties to which Tanzania is a signatory. The Permanent Sovereignty Bill is a form of reinforcement of the constitutional right of Tanzania to freely dispose of its natural wealth and resources according to national interest. It provides that the Government shall exercise ownership and control over natural wealth and resources on behalf of the People of Tanzania. Article 6(1) of the Permanent Sovereignty Bill states that it shall be unlawful to make any arrangement or agreement in respect of natural resources, except where the interests of the People and the Tanzanian State are fully secured and approved by the National Assembly. The provision is broadly drafted and provides two issues for analysis. Firstly, in the event that an arrangement or agreement is viewed not to ’secure the interests of the People or the United Republic’ then, arguably, it may be considered void or voidable. This is significant given that such an assessment will be (at least in part) subjective. Secondly, the National Assembly is explicitly referenced as needing to approve such an agreement. A subject of some debate in the past, analysts had broadly concluded that contractual arrangements in Tanzania did not require explicit approval by Parliament in sitting as the power to enter into them was delegated to the relevant Minister. This principle is now less clear and the legislation, arguably, requires such agreements to be formally approved by Parliament. In practice, given this lack of certainty, the Government will likely be able to decide how narrowly or widely to interpret the requirement for parliamentary approval. Article 7 of the Permanent Sovereignty Bill states that any arrangement or agreement for natural resources shall provide guaranteed returns for the Tanzanian economy. The practical application of this broad provision is yet to be seen. Some obvious questions arise: What is economic benefit? What if a relevant authority deems a contract not to have economic benefit? Is it fair to assume in that case that the arrangement or agreement is void or voidable? From a strict analysis of the drafting it appears that it may be. Article 8 of the Permanent Sovereignty Bill states that the People of Tanzania must have the ability to ‘acquire stakes in the venture’. Furthermore, the Government must be provided with an equitable stake in the venture. Although broadly drafted, it is conceivable and well within the right of the relevant Minister to produce regulations setting out in further detail the form of such participation. We have seen from the telecoms sector that listing on the Dar es Salaam Stock Exchange is within the contemplation of the State and such optionality is already enshrined in law. The Permanent Sovereignty Bill prohibits the export of raw resources for beneficiation outside of Tanzania. Furthermore, commitments must be made to establish beneficiation facilities within Tanzania. The key driver of this provision is a requirement to bring processing facilities onshore. A question for investors in highly technical or large scale mining or oil & gas operations is whether their front end design and engineering plans are geared to such a change. What is the cost impact of onshore processing and are relevant skills available to undertake the work envisaged? Article 10 of the Permanent Sovereignty Bill states that earnings from disposal or dealings will be kept in Tanzanian banks or financial institutions, except where distributed profits are repatriated in accordance with the laws of Tanzania. Our interpretation of this provision is that key operational bank accounts must be held onshore in the first instance. It is only when distributable profits (dividend payments etc.) are triggered that funds may be repatriated offshore. This is a key consideration for investors who have an ’offtake’ and ‘offshore’ model as part of their structure. In such structures, cash flows are often sent directly to offshore bank accounts. Under a typical project finance structure, such bank accounts would traditionally be secured offshore and there is reluctance from lenders to have them onshore. Such issues will need to be managed by investors. The Permanent Sovereignty Bill provides that disputes arising from arrangements and agreements relating to natural wealth and resources may only be adjudicated in Tanzania and in accordance with the laws of Tanzania. This effectively rules out arbitration provisions where the seat and venue is outside of Tanzania. A complication here is that such provisions appear to cut across certain international agreements and treaties to which Tanzania is a signatory. We assess the impact on Bilateral Investment Treaties below. Finally, the Bill states that Parliament has a permanent right of review of existing natural resource agreements. This issue is further discussed below in the context of other Bills. The Review and Renegotiation Bill creates a review mechanism and provides the process for carrying out reviews of all agreements with the Government for natural resources. Such reviews are to ensure that the terms and conditions of agreements are in line with the interests of the People and the Tanzanian State. The purported goal of the Review and Renegotiation Bill is to identify ‘unconscionable terms’ which were entered into with a view to renegotiating the relevant agreement and removing the unconscionable term(s). k) Aim at doing any other act the effect of which undermines or is injurious to welfare of the People or economic prosperity of Tanzania. Limb c) above essentially captures the principle driver behind an unconscionable term. The Review and Renegotiation Bill also explicitly prohibits agreements governed by foreign law or which provide for international arbitration as a means of dispute settlement. c) For agreements or arrangements made prior to the Review and Renegotiation Bill coming into force which are deemed to be prejudicial to the interests of the People and the Tanzanian State, the National Assembly may by resolution direct the Government to initiate renegotiation of such agreement or arrangement. It should be noted that limb c) above effectively introduces the concept that the legislation applies retroactively to agreements signed prior to its coming into force. Arguably, this is a new concept in Tanzanian law. The retroactive application of legislation would appear open to challenge, should an investor contrast it with rights contained in the Tanzanian Constitution. d) On completion of renegotiation, the Government shall prepare a report on the outcome and lay it down before the National Assembly. The Bill provides that where the Government has served notice of intention to renegotiate and the other party fails to agree or where no agreement is reached, the unconscionable term(s) shall be treated as having being expunged. Again, it is arguable that the ability to treat terms as expunged is a new concept in Tanzanian law. The Written Laws Miscellaneous Amendments Bill amends various existing legislation including the Mining Act and the Petroleum Act. This legal brief does not provide an exhaustive review of changes to each piece of legislation, but rather focuses on notable key changes. The key changes are to the Mining Act. This is as the Mining Act is older and therefore less in line with the Government’s current thinking and policies. The Petroleum Act, on the other hand, has only been in force since 2015. It should be remembered that both the mining and petroleum sectors are affected not only by this Written Laws Miscellaneous Amendments Bill but also by those discussed above. The existing legal framework of the mining sector is governed by the Mining Act 2010. The Written Laws Miscellaneous Amendments Bill significantly amends the Mining Act 2010 by substitution, addition and repeal. f) The granting of additional Presidential powers to pronounce an area subject to mining operations to be a controlled area. Conditions shall then be prescribed to the controlled area, contravention of which shall constitute an offence. We consider below specific provisions in further detail. Section 9(4) of the existing Mining Act entitled holders of a mineral right to assign the mineral right or an undivided proportionate part to another person. This was done by obtaining written consent of the licensing authority, such consent not to be unreasonably withheld. The Bill amends section 9(4) by replacing it with a provision whereby the consent of the licensing authority shall not be given unless there is proof that substantial developments have been effected by the holder of a mineral right. "The Government shall have not less than 16 non-dilutable free carried interest shares in the capital of a mining company, the Government is also entitled to acquire, in total, up to 50 per cent of the shares of a mining company commensurate with the total tax expenditures incurred by the Government in favour of the mining company." The reference to free carried interest is a concept which we are familiar with from the existing Mining Act. The difference now is the ascription of a tangible figure to it. The ability of the Government to acquire 50 per cent of a mining company’s shares is less clear. The provision appears to be linked to mining companies who benefit from tax exemptions or tax holidays. It is difficult to accurately predict how the process of acquisition will operate and how the ‘share’ will be calculated. The Mining Board is to be replaced by the Mining Commission which shall be a body corporate with perpetual succession, common seal and be capable of being sued and suing, purchasing property and all other functions that body corporates may perform. The Commission has wide-ranging powers (among others) to audit materials produced on mine sites and renew and revoke licences. The Bill seeks to establish the Government Minerals Warehouse. This Warehouse is where all the metallic minerals and gemstones ‘won’ by mineral rights holders in Tanzania shall be stored. It is provided that the Commission shall station a Mines Resident Officer in all mining sites who shall monitor the day to day production process, verify records kept by the holder of the mineral right, authorise entry into the minerals storage facility at the mine on behalf of the Government and oversee the removal and transportation of minerals to the Government Minerals Warehouse. The Mining Cadastre shall receive and process applications for mining rights and mineral processing licences, administer mining rights and mineral processing licenses and maintain public cadastral maps and cadastre registers. e) Any minerals otherwise acquired by the Government. This Reserve shall be controlled by the Bank of Tanzania. A key change to the Mining Act is that all minerals won from the mines shall be beneficiated within Tanzania before they can be dealt with in any way. No licence or permit shall be issued for exportation of raw minerals and mineral concentrates. This provision obviously creates a challenge for mining companies who have modelled an offshore processing work-stream. There shall be a new requirement for holders of mineral rights to pay one-third of their royalty to the Government by depositing refined minerals equivalent to the ascertained royalty into the National Gold and Gemstone Reserve. Stabilisation arrangements that freeze laws or contract away the sovereignty of the Tanzania State are forbidden. Stabilisation agreements shall be specific and time bound. They cannot last a life time and the arrangements shall make provision for renegotiation. Any stabilisation arrangement involving tax expenditures by the Government shall provide for the quantification of the value of the tax expenditure and detail how the mining company shall recompense the Government for the foregone revenues. The Government will have the option to convert the quantified values into equity holdings in the mining company. This provision is likely to be relevant to several existing agreements. Removing the ability of contractors to utilise stabilisation agreements places Tanzania squarely outside of the international standards for investor protection. The Bill includes a broad obligation for mineral rights holders to participate in the growth of the economy by investing a portion of their returns back into the economy. Annual returns will allow contractors to illustrate the efforts made to do so. The information from such returns and assessments shall be considered by the Mining Commission when considering licence renewals. Preference must be given to locally produced goods or those rendered by Tanzanian citizens or local companies. If such goods are not available in Tanzania they shall be provided by a company which has entered into a joint venture with a local company who shall own a share of at least 25 per cent thereof. This provision replicates similar provisions in the Petroleum Act 2015. Within 12 months of a grant of licence and on each subsequent anniversary, a mineral right holder shall submit to the Commission for approval a detailed programme for recruitment and training of Tanzanians in accordance with an approved local content plan. Mineral rights holders shall be required to submit a corporate social responsibility plan annually. Furthermore, mineral rights holders shall be required to comply with the integrity pledge contained within the Bill. This contains a number of national requirements such as dealing with integrity and desisting from engaging in any arrangement that undermines or is otherwise prejudicial to Tanzania’s tax system. This integrity pledge again replicates that found in the Petroleum Act 2015. A key issue is the subjective nature of "integrity". This issue is compounded by the harsh consequences for a breach of the pledge, namely that an offender’s mining licence can be cancelled. Compliance with other acts such as the Environmental Management Act 2004 is required and the Bill clarifies that mineral right holders may be liable for pollution damage without regard to fault. Indeed, mineral right holders can only reduce their liability by showing factors which contributed to the damage. 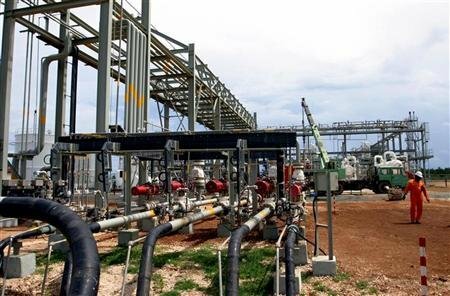 The proposed amendments to the Petroleum Act seek to reinforce the principles of Tanzanian sovereignty, the prohibition of unconscionable terms and compliance with Tanzanian law. Section 47 of the Petroleum Act is amended to reinforce the principles above for the entry into long term agreements, most notably Production Sharing Agreements. Companies in the petroleum sector will face similar challenges to those in the mining sector in respect of contract renegotiation and needing to abide by the above principles. Section 113 of the Petroleum Act is also amended to include the right of the Petroleum Upstream Regulatory Authority to prohibit removal of any petroleum from a development area in the event that a contractor is deemed not to have paid required royalties. A number of the provisions of the new legislation are inconsistent with the protections afforded to qualifying investors under agreements such as the Bilateral Investment Treaty between Tanzania and the Netherlands (the “Tanzania – Netherlands BIT”). These provisions are similarly inconsistent with the Bilateral Investment Treaty between Tanzania and the United Kingdom (the “Tanzania – UK BIT”), although that agreement adopts a slightly different approach to the question of expropriation. Some of the provisions are also inconsistent with protections currently available to qualifying investors under the Protocol on Finance and Investment of the Southern African Development Community (the “SADC Protocol”). However, these protections are likely to be removed in the near future, once recent changes to the SADC Protocol come into force. While the BITs are in effect and Tanzania remains a member of the ICSID Convention, qualifying investors will be entitled to seek ICSID arbitration in respect of claims arising from measures taken by the government under the Bills which breach the investors’ BIT rights. Some examples of the inconsistencies between the Bills and the existing protections are set out below. a) All earnings from natural resources must be retained in Tanzanian onshore accounts. This requirement is inconsistent with the obligation in Article 5 of the Tanzania – Netherlands BIT to guarantee the free transfer of payments relating to investments. It also arguably conflicts with Article 2 of the SADC Protocol, which requires member states to create a favourable investment climate. b) All contracts with foreign investors must have disputes settled in Tanzania and there is a ban on foreign arbitration. Article 9 of the Tanzania – Netherlands BIT provides for disputes between a contracting party and a qualifying investor to be resolved by arbitration under the ICSID Convention. The Tanzanian Investment Act 1997 similarly permits the resolution of disputes with foreign investors by ICSID arbitration. Requiring contracts with foreign investors to have disputes resolved in Tanzania and banning foreign arbitration is inconsistent with these protections. It could also be regarded as a breach of the requirement in Article 3 (1) of the Tanzania – Netherlands BIT to ensure fair and equitable treatment of the investments of another party’s investor. By banning foreign arbitration only in respect of disputes with investors in the natural resources sector, the Government is arguably discriminating against such investors in breach of Article 3(1) of the Tanzania – Netherlands BIT. c) Parliament has the right to review any natural resources contracts at any time regardless of protections in the agreements. Any contract changes imposed during such a review could amount to a breach of the requirement for fair and equitable treatment in Article 3 (1) of the Tanzania – Netherlands BIT. They could also constitute a violation of Article 3 (4) which requires each party to observe any obligation it may have entered into with regard to investments of the other party’s investors. (iii) are taken against just compensation. a) If any agreement is found to have ’unconscionable terms’ the government may renegotiate it at any time. An unconscionable term is also one which restricts periodic reviews. Enforcing the renegotiation of existing contracts may constitute a violation of the requirement for fair and equitable treatment in Articles 3 (1) (fair and equitable treatment) and 3 (4) (observing obligations) of the Tanzania – Netherlands BIT. If contract changes are imposed during an enforced renegotiation, they may amount to expropriation in breach of Article 6 of the Tanzania – Netherlands BIT. b) An agreement can be renewed if it is found to be ’inequitable or onerous on the state’. An enforced renewal of an existing agreement may constitute a violation of Articles 3 (1) (fair and equitable treatment) and 3 (4) (observing obligations) the Tanzania – Netherlands BIT and may amount to expropriation in breach of Article 6. The new legislation will clearly have a significant impact on operators in the extractive and petroleum industries. Existing operators will need to consider their Mineral Development Agreements and Production Sharing Agreements as vulnerable to renegotiation if they contain the terms now prohibited under the Bills. This clearly affects almost all such contractors. New entrants into the market will need to consider a more in-country focused profile to their business plan in order to adjust to the reprioritisation approach taken in the Bills.